Described as a vodka masquerading as a Burns Supper dessert, LoneWolf Spirits have launched another expression of their increasingly popular Lonewolf Vodka. The vodka is a toast to Scottish legend Robert Burns and they say it’s crafted in three different ways using locally-scored double cream, toasted oats and freshly pressed raspberries distilled in a single malt vodka base, this is then blended with a barrel-aged vodka from a ‘heavily charred virgin American oak cask’. It’s a timely launch with Burns night taking place on Thursday the 25th of January this year and it looks like there are a limited amount of the 500ml bottles available online at £28.00. 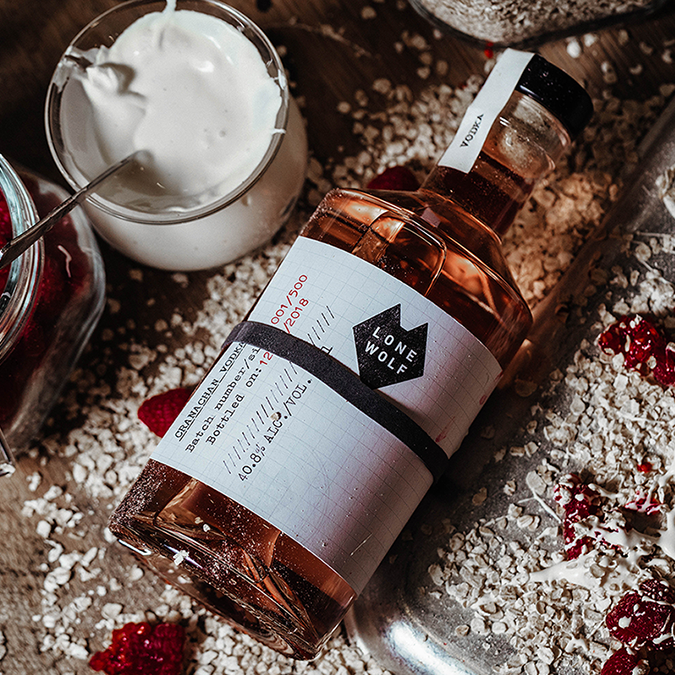 We’ll be keeping an eye out for more LoneWolf vodka launches as they seem keen to experiment with what consumers traditional see vodka and injecting some much needed innovation in the category.